We are a busy household, just like everyone else I know. But I love cooking so I try and find the time to plan meals and cook. It isn't easy and I've been failing miserably lately. So, when Munchery offered me $50 credit to try out their service in the Sacramento area - I felt like I needed this. A little break from planning for a night or two. Food delivery might not be for everyone all the time - but if your looking for a way to save time at dinner? Give it a try. 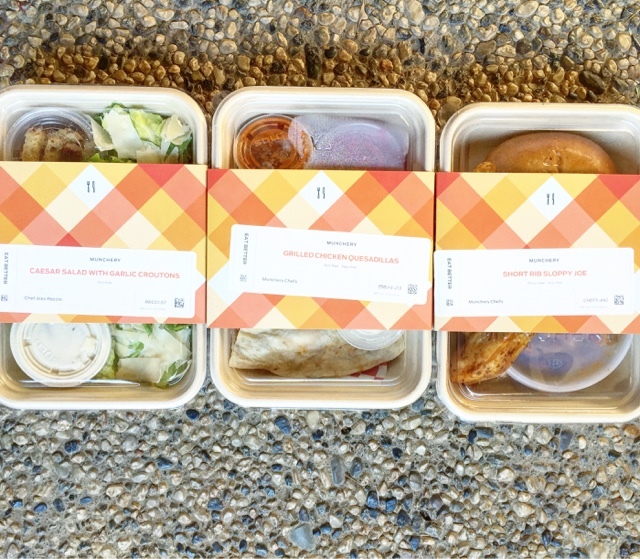 Here are the details on my Munchery experience. The Muchery Membership is $8.95 a month (or $85 a year if you want to commit.) The price of the food is really affordable for what your getting. The portions are big and the food was delicious. 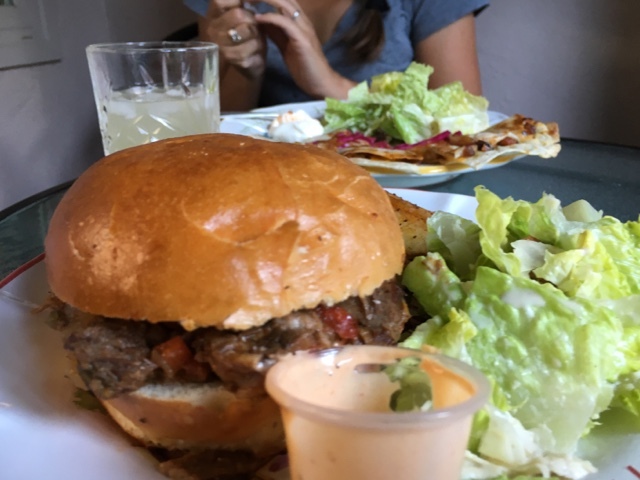 The first night we ordered a grilled chicken quesadilla for me, short rib sloppy joe for the husband and a salad to split. We picked the 4-6pm delivery - and the food arrived right at 6pm. It only took about 10 mins to warm up in the oven following the directions. We were both really happy with our choices. The second time we ordered was a night I wasn't home for dinner. We again picked the 4-6pm delivery time and unfortunately for my husband who was waiting with hungry kids - they were over a 1/2 hour late. But, with out even asking they gave us a credit for $10 which made it a little better. The food we ordered the second time was: chicken and bacon- Brussel sprouts, butter chicken and creme brûlée for dessert. Husband liked his Chicken and Brussel sprouts and when I ate my butter chicken the next day it was amazing and I ate the creme brûlée for breakfast and it was perfect. 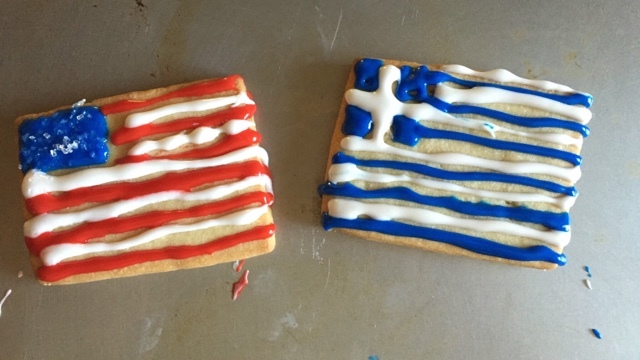 A few weeks later with the $10 credit I ordered the cutest cookie kit that included 4 shortbread cookies and decorating supplies so that you could design your own flags for the Olympics. It was really fun to do. I failed miserably the first time with my Greek flag - but did another Greek flag, American flag and a Brazil flag. I really enjoyed the Munchery service and I think I'll be trying it again the future on busy days. Now if you want $20 credit - shop using my invite code. 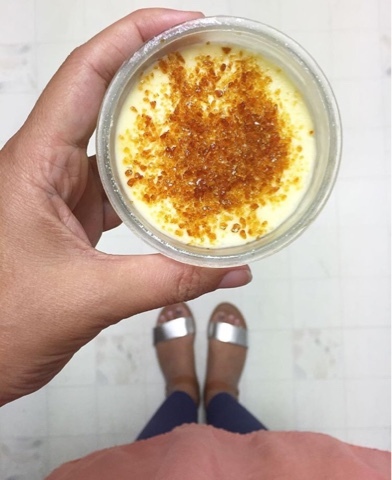 Any readers have a food delivery service they love?